A new stake has been created from the Des Moines Iowa and Ames Iowa Stakes. The Des Moines Iowa Mount Pisgah Stake, which consists of the Centerville, Indianola, Lenox, and Perry Branches and the Easter Lake, Osceola, Roccoon River, Walnut Hills, and Waukee Wards, was created by Elder Weatherford T. Clayton, a General Authority Seventy, and Elder Rulon F. Stacey, an Area Seventy. DES MOINES IOWA MOUNT PISGAH STAKE (November 20, 2016): President—Gary Lee Pence, 61, retired, Wells Fargo; wife, Debra Kay Van Valkenburg Pence. Counselors—David Michael Arzani, 64, national sales coordinator, Ramco Innovations; wife, Kathleen Jo Fenimore. Kevin Theron Kohler, 46, special agent, FBI; wife, Charisse Rose Kohler. A new stake has been created from the Rajahmundry India District. The Rajahmundry India Stake, which consists of the Dowleswaram Ward, Kakinada Ward, Rajahmundry 1st Ward, Rajahmundry 2nd Ward, and Rajahmundry 3rd Ward, was created by Elder Randy Dennis Funk, a General Authority Seventy, and Elder Robert Kumar William, an Area Seventy. RAJAHMUNDRY INDIA STAKE (December 17, 2016): President—Prasad Badireddy, 29, business executive, Dabur India Ltd.; wife, Syamala Boddupalli Badireddy. Counselors—Prasad Pinipe Durga, 32, clerk, Cooperative Bank; wife, Pinipe Madhaui Bathula Madhavi. Naveen Kumar Murapaka, 28, professional sales; wife, Sagarika Vasadi Murapaka. A new stake has been created from the Teresina Brazil Horto and the Teresina Brazil Stakes. The Teresina Brazil Planalto Stake, which consists of the Caxias Branch and the Angelim, Esplanada, Planalto, Poti, and Timon Wards, was created by Elder Marcos A. Aidukaitis, a General Authority Seventy, and Elder Raimundo P. de Pinho, an Area Seventy. TERESINA BRAZIL PLANALTO STAKE (November 20, 2016): President—José de Ribamar Silva de Souza, 43, owner, Mile Uma Profissões; wife, Karine Vieira Clemention. Counselors—Nilson Meredesa Furtado, 49, self-employed; wife, Nely Cristiane Soares. Wand Jorge da Silva Rodrigues, 38, representative, AKMOS; wife, Theresa Rachel Mendes da Silva Rodrigues. 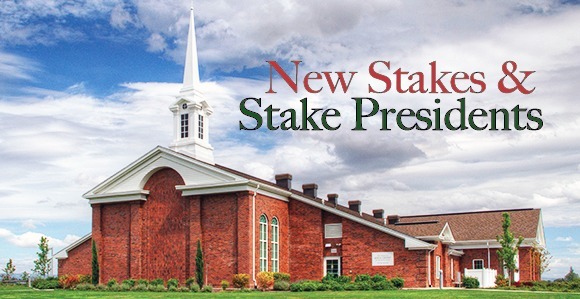 A new stake has been created from the Colorado Springs East Stake. The Colorado Springs High Plains Stake, which consists of the Limon Branch and the Black Forest, Calhan, Falcon, Indigo Ranch, Meridian, Oakwood, Stetson, and Woodmen Wards, was created by Elder C. Scott Grow, a General Authority Seventy, and Elder Matthew L. Carpenter, an Area Seventy. COLORADO SPRINGS HIGH PLAINS STAKE (December 4, 2016): President—M. Jay Carroll, 49, contract manager, Department of Defense; wife, Shantell Hicken Carroll. Counselors—Kim Morrison Thomas, 56, business owner; wife, Karlene Rae Westfall Thomas. Jeffrey Taylor Brown, 41, teacher, Rampart High School; wife, Tiffany Rose Brown. A new stake has been created from the Surprise Arizona and Good Year Arizona Stakes. The Surprise Arizona West Stake, which consists of the Cactus Lane, Canyon Trails, Cortessa, Savannah, Verrado, Waddell, and White Tank Mountain Wards, was created by Elder Anthony D. Perkins, a General Authority Seventy, and Elder C. Dale Willis, an Area Seventy. SURPRISE ARIZONA WEST STAKE (December 11, 2016): President—Daniel Thomas Smith, 50, physician; wife, Anne Connelly Smith. Counselors—Matthew Jon Garrett, 42, dentist; wife, Randi Lynn Garrett. Brett Fredric Stabler, 39, director of retention, Knight Trans; wife, Courtney Michelle Horne Stabler. ALBUQUERQUE NEW MEXICO STAKE (December 4, 2016): President—Michael David Davis, 41, insurance agent; succeeding Robert P. Cutler; wife, Erica Brown Davis. 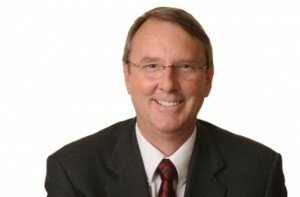 Counselors—Larry Allen Schoof, 58, engineer, Sandia National Labs; wife, Amanda LaRee Whetten Schoof. Derek Christian Lines, 43, dentist; wife, Kristine Michelle Alkema Lines. BELFAST NORTHERN IRELAND STAKE (December 4, 2016): President—Benjamin Aaron Noble, 40, director and co-owner, React Ireland; succeeding James M. McCrudden; wife, Heather Damaris Ferguson Noble. Counselors—Robert David Lowry, 38, call center manager, First Source Solutions; wife, Caroline Lowry Lowry. James Edward Joseph Parker, 42, CEO, Irish Life; wife, Rachel Adele Edwards Parker. 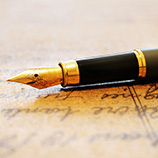 To see the remaining list of reorganized Stakes, click here.